We have just released a short movie that illustrates how to build a fully featured word processor, using TX Text Control .NET for Windows Forms in just two minutes. Click on the screenshot above right to launch the video (flash required). If you need any help getting started with TX Text Control .NET for Windows Forms or have any questions about this video tutorial, please get in contact with me. 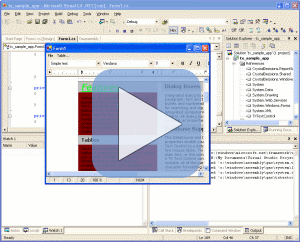 I am only too happy to assist you with all matters relating to TX Text Control .NET for Windows Forms.